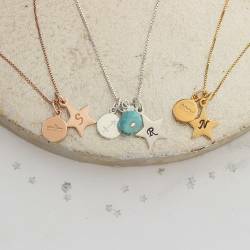 Inspired by the signs of astrology, the Zodiac Disc & Letter Personalised Charm Necklace is an exquisite piece of jewellery with impeccable attention to detail. 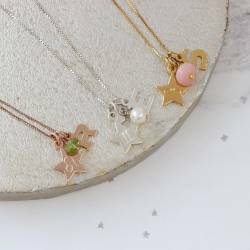 Handcrafted to order, it features a feminine box chain, a disc shaped charm embellished with your chosen star sign, and a letter shaped trinket. 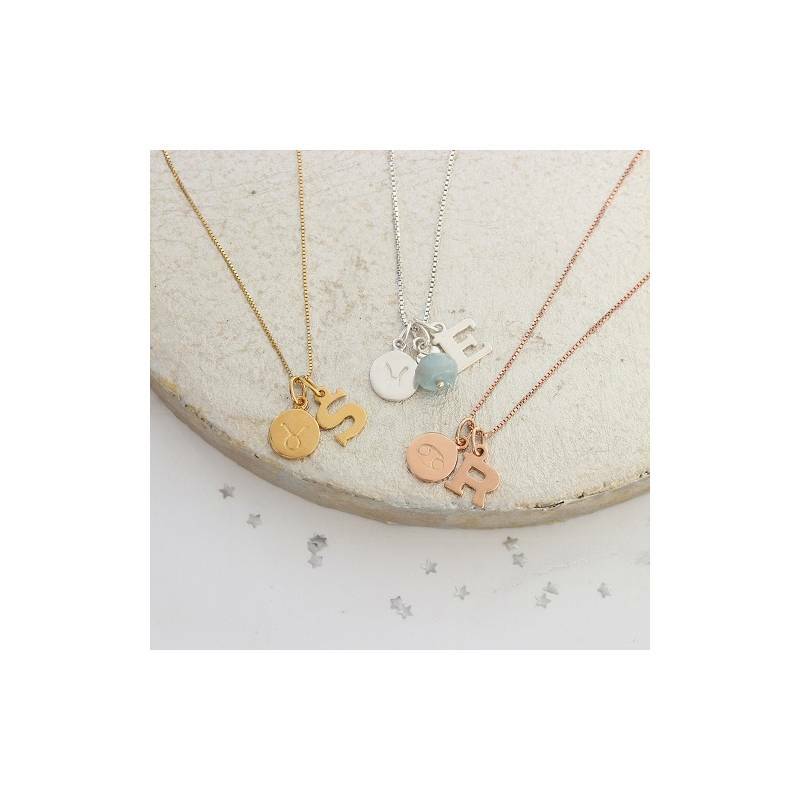 Further customisation comes in the form of birthstone gemstones, which can be added upon request to create an eye-catching display of colour. 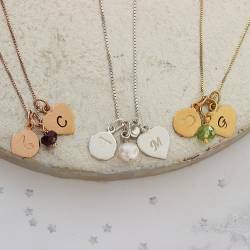 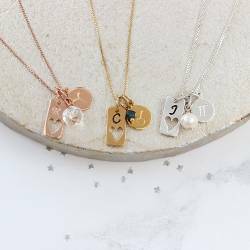 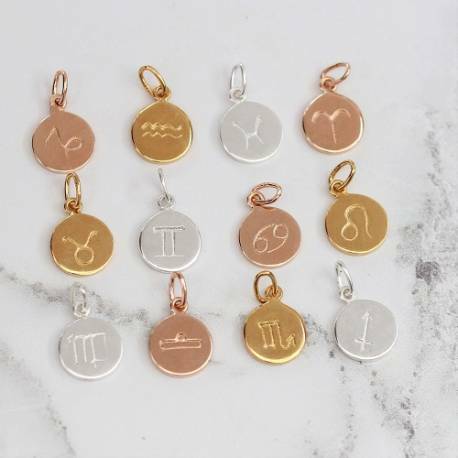 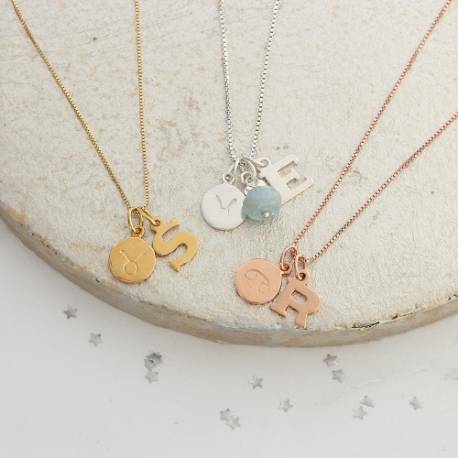 Offered in sterling silver, rose gold, and yellow gold vermeil, the Zodiac Personalised Charm Necklace would make an exceptional birthday gift, and a lovely keepsake for bridal parties.